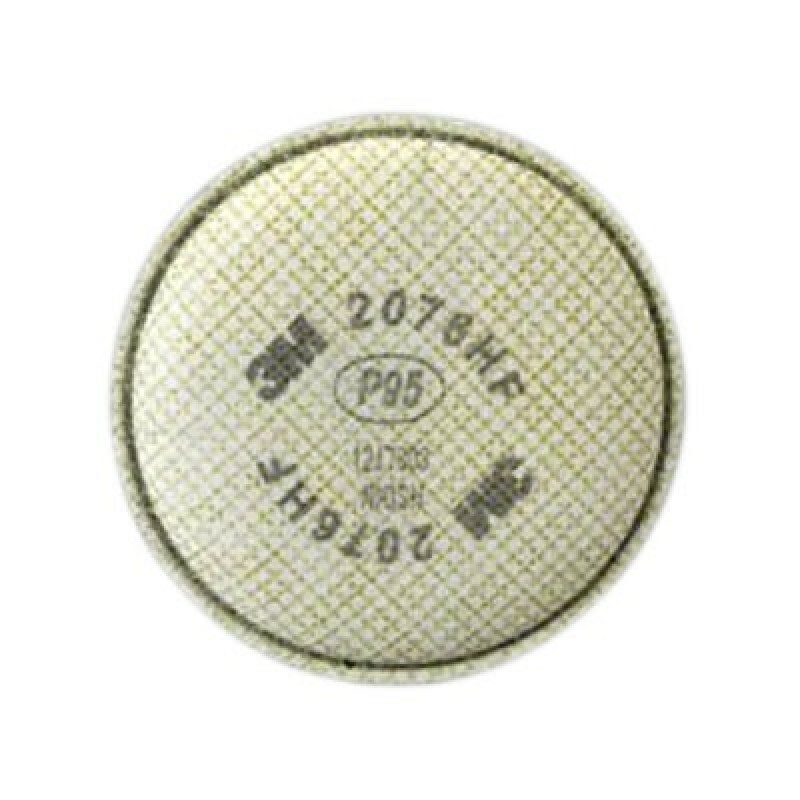 The 3M 2076HF P95 Filter is NIOSH approved for hydrogen fluoride and certain oil and non-oil based particles. 3M recommended for relief against nuisance levels of acid gases. The filters can be connected directly to 3M 6000 and 7000 Series Respirators or can be used with 3M 6000 Series Cartridges (which requires 3M 502 Adapter). When properly fitted the 3M 2076HF respirator filter can be used for a variety of applications including aluminum processing for concentrations up to 10 times the Permissible Exposure Limit (PEL) with half facepieces or 50 times PEL with full facepieces. Full facepieces must be quantitatively fit tested to claim assigned protection factor above 10 in negative pressure mode. Also offers nuisance level relief from other acid gases that are below the PEL. Do not use in environments that are immediately dangerous to life or health (IDLH). 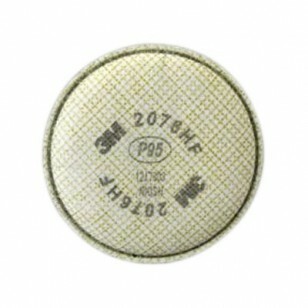 Can be used with 3M 6000 Series Cartridges (requires 502 Filter Adapter).